Need to balance a customer portfolio? Assign prospecting territories? Distribute workloads? Define delivery areas? 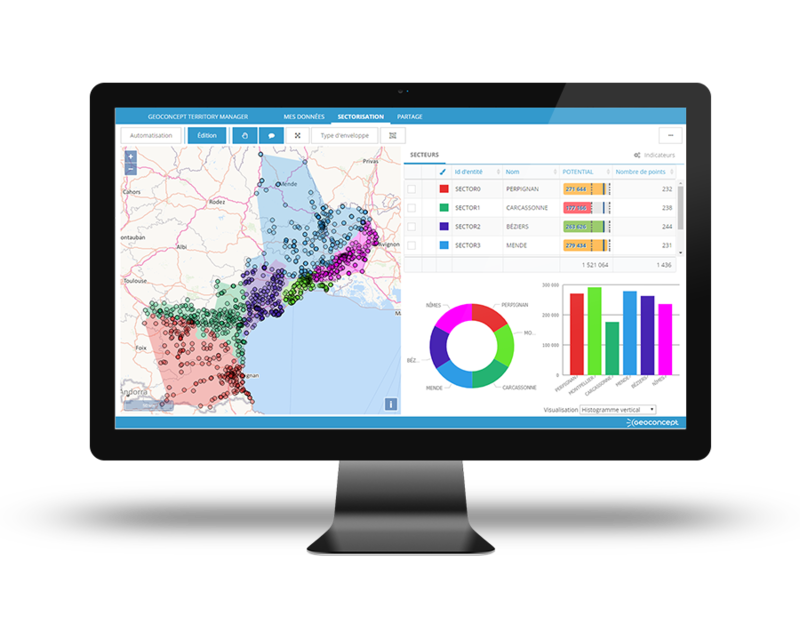 Segmenting a territory or optimizing existing sectoring enables a market's potential to be exploited to best effect and to maximize service call and sales and logistic operations profitability! Territory management entails the fair apportionment of points between several geographical areas based on appropriate criteria for the activity in question: balancing of accounts between sales personnel based on potential turnover, apportionment of delivery areas around warehouses, assignment of customers requiring assistance taking account of the technicians’ expertise. 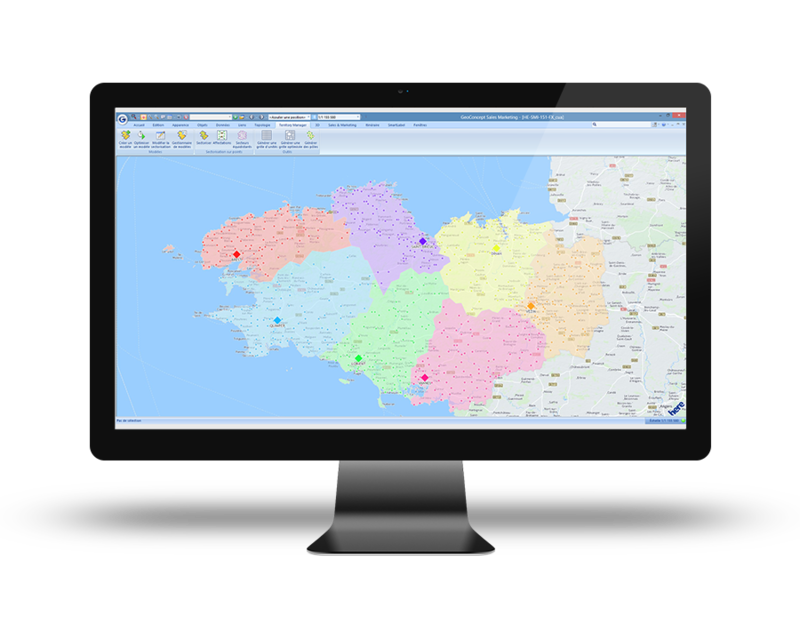 Komet balances its business sectors with our geographical districting solutions. "Districting is one of the solutions that allow us to be more efficient commercially." Need help defining the sectoring that’s right for your business? Salesforce organization, sales sector segmentation, balancing service call territories, zoning logistics operations… no matter what your problem, our experts will help you define your ideal organization.